Up next, Mandy will be playing the title role of Sweeney Todd in Reboot Theatres' 2019 production of Sweeney Todd! This is an incredible opportunity to watch what happens when we challenge traditional casting. Get your tickets now - its gonna be murder trying to get them later. Mandy is honored to have told the story of Miranda in Silhouette. A rogue mutineer that lead a rebellion in space hundreds of years ago, faced with discovery, new loyalties emerge, and old questions surface. 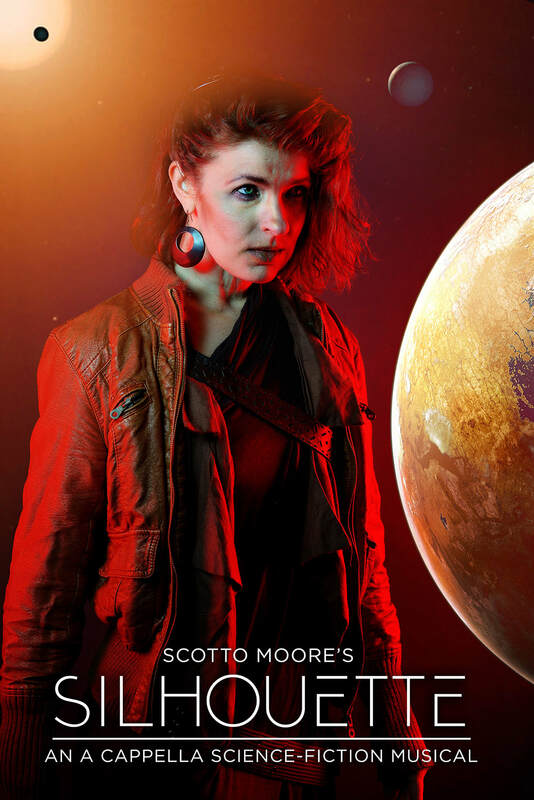 A new, Sci - Fi a capella musical, by Scotto Moore. Mandy is SUPER STOKED to have voiced The Shield Maiden in the upcoming multi-media venture Chaldea! Mandy has been working with the very talented Alex Trimpe on Brain Bites! A You Tube educational channel dedicated to posting cool facts, in small bites. Mandy is deeply honored to have been awarded Best Actress in a Comedy or Drama for her portrayal of Bella Manningham in Cottage Theatre's production of Angel Street . Noble Fir IS GOING TO BIG BEAR FILM FESTIVAL! Mandy is SO excited to have been a part of this touching story, and couldn't be happier for the Noble Fir team!! "Dungeon Warrior - Legend of the Blue Diamond"! Look for it on your favorite gaming platform!